November 9, 2018 — The provincials main task is to visit every Jesuit in the country at least once a year along with most of our apostolates or works. 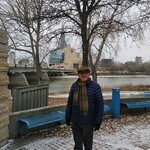 I spent the past week in Winnipeg where I visited the Jesuit community and most of the Jesuit inspired works here. The newest work is Gonzaga Middle School, a school in the Nativity School tradition that provides an enhanced, holistic, co-educational, culturally sensitive middle school (grades 6-8) education for low-income families; in this case mainly First Nations. Gonzaga is in its third year of operation and thus is preparing for its first graduating class! There is a lot of excitement surrounding this upcoming watershed moment. 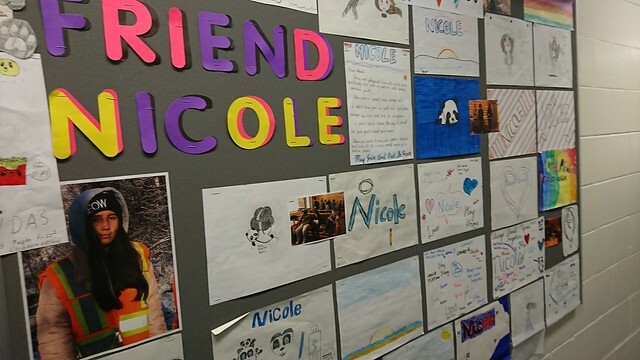 As well, the school is mourning the loss of one of its students Nicole, a grade 7 student, who died in a tragic house fire along with another family member two weeks ago. I assured Tom Lussier that I and the province would pray for Nicole and her family. May God give her repose and consolation to her family. The artwork below is a prizewinning entry by Gonzaga Grade 7 students for the 2018 National Centre for Truth and Reconciliation’s “Imagine a Canada –through the Lens of Reconciliation” art and leadership program.